"I'd be interested to read the rest of your published article if it's posted? Myself and two friends are paying homage to JKJ thanks to Thames Skiff Hire... keep an eye on http://www.threemeninaboat2008.blogspot.com/ and in just over a month I'll let you know how it goes! Britain is blessed with an abundance of water for playing on, in and around. Nowhere is far from a coast, river or lake offering every kind of boating from laid-back cruising on the canals to the exhilaration of white water rafting. But nothing is more ingrained in the British psyche than rowing on the Thames, implanted as small children by reading Wind in the Willows and later by Three Men in a Boat. Not to mention the Eton Boating Song. Tom Balm of Thames Skiff Hire in Walton on Thames takes old rowing skiffs and restores them into symphonies of varnished mahogany, bronze and canvas. Then he rather generously allows us to play at being Ratty or Jerome K Jerome in them. 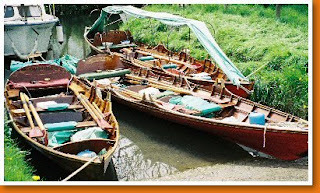 You can start and finish anywhere along the river - he will deliver the boat to one of 30 and collect from another one so you can row downstream only if you feel lazy. Four people can fit in a boat, but only three can sleep so one will have to put a tent up on the bank. Cooking equipment is provided, including that essential tin opener. If boating on the Thames evokes the gentler pace of a bygone age, then white water rafting on the Tay in Perthshire offers a total adrenaline rush. Basically, the sport involves strapping yourself into what is effectively a large inflated truck tire and throwing yourself down streams that go terrifyingly downhill. It’s great. The river has some of the finest stretches of white water anywhere, including the terrifying Orchy and Braan. Dunolly Adventure Outdoors runs rafting trips throughout the year, supplying everything from wet suit to helmet. Every trip starts with a safety session including instruction on paddle strokes. For those who want more, families can stay and the centre and indulge in canoeing, mountain biking and other activities. On the face of it, the latest extreme sport, ‘coasteering’, is just as alarming - a sort of combination of rock climbing, diving, surfing – but children have always explored the rocks and pools around the beaches where their parents lie like beached whales in the sun. Picture shows coasteering in Cornwall with breathingspace.uk.com. Coasteering was developed on Britain’s only coastal National Park in Pembrokeshire, pioneered by local activity holiday firm TYF Adventure. The concept could not be simpler – don a wetsuit, helmet and an old pair of trainers (don’t expect to use them again), and scramble up the rocks. Trained instructors will show you places where you can throw yourself into the sea without too much risk of killing yourself, and every chance of thoroughly enjoying the experience. There are caves to be explored, seals to watch and waves to bodysurf in. Trips are graded for ages from eight upwards, and you don’t even have to be able to swim though confidence around water is desirable. TYF also offers sea kayaking and surfing, as well as operating the only fully organic hotel in Wales in a converted windmill near St Davids. Coasteering may be the latest thing, but the popularity of sailing has soared since Britain’s recent Olympic successes. 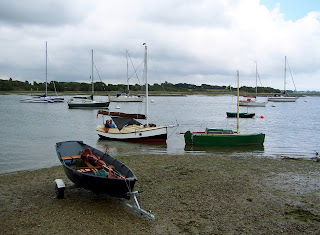 One of the best places to learn how is on the protected water of Chichester Harbour on the South Coast. It’s one of the prettiest too, and Cobnor Activities Centre is at its heart. A charitable foundation, Cobnor is an RYA training centre, operating a fleet of boats from Toppers to Visions. 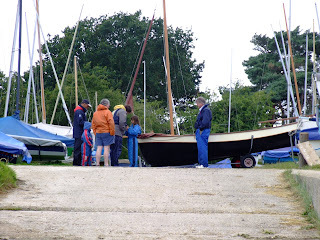 Pictures show the Home-Built Boat Regatta at Cobnor last year. Children can attend sailing camps which concentrate on improving RYA skill levels, or activity camps with a variety of other activities such as canoeing, climbing, archery and walks in the South Downs. Accommodation is either under canvas or in log cabins. Suggest to the kids that they might enjoy a holiday in Birmingham and they may be sceptical. Tell them you will be cruising round some of the loveliest canals in Britain and they could be converted. A huge regeneration scheme has transformed the centre of the canal system round Gas Street Basin into a thriving area with pubs, clubs, an arena and lots for kids to do. But it is its position at the centre of numerous ‘ring’ routes that make it an ideal jumping off point for a canal holiday. Brightly painted narrowboats throng the old wharves and new marinas, and many can be hired as luxury floating holiday homes. Getting from the glitz of Gas Street to the rural peace of Staffordshire or Worcestershire does involve motoring through some very drab suburbs, but it is worth it. There is nothing more relaxing than steering a narrowboat along a winding canal, having sent the kids running ahead to prepare the lock for your arrival. You relax and they tire themselves out – a recipe for a happy holiday. Thanks for posting this interesting article Chris. It has served as inspiration for our next adventure - perhaps a spot of "coasteering" is in order. Although, I equally like the idea of hiring a canal boat for a relaxed week. P.S. Interesting to read your comments about eBay. I've recently bought a first edition of JKJ Three Men in a Boat off eBay. As you'd imagine its a difficult item to value but the starting price was low and the seller had the confidence to let it find it's true market value. I do find however that listing an item, and within reason regardless of value, with no reserve and a £1 starting price can often encourage more viewers/watchers as people often sort their searches by price (lowest first). Ultimately, once you've got people watching/bidding you stand a chance of a bidding war breaking out as the dreaded auction red mist can affect even the best of us!